Huma resource management is a crucial aspect of management since it defines whether the actual visions and missions of the organization will end up being attained. Additionally, the operation of this department is influenced by the growth of the organization. If the organization adjusts its mode of operations or even expands its market, there will be a need of adjusting to these changes. 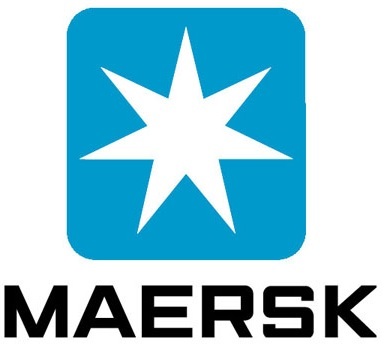 The case is the same with Maersk group of companies. The organization has been able to change its management of human resource owing to the expansion of the company. The assignment addresses the different changes and their implication. The strategic plan is the blueprint of what the organization wishes to attain over a given frame of time. A comprehensive strategic plan, will need to a notch higher and define the different modes of operations that should be adopted to ensure the strategic plan is attained (Kehoe & Wright, 2013). Under such implications, therefore, it becomes important to link human resource management operations with the strategic plan. This linking will guarantee the organization that they will be able to get staffs that are strategic, that is, having the right person for the right job. Upon the organization knowing where they want to be after a given time frame, it lies upon them to go ahead at look at the individual attributes, skills, and even experience. This makes it easy, therefore, for the workers to adopt the work requirements needed for their jobs (Kehoe & Wright, 2013). There are a couple of global issues that have forced the organization to adjust its human resource related activities. However, there are two main ones, and these are diversification of activities and operations and lastly globalization. The shipping industry has diversified with time through the activities undertaken and also the job needs. In line with the organization, increased job demands at the international levels mean that there are issues that the organization will be facing by not having a capacity to handle. As a result, therefore, they are needed to have people from the industry to help them in dealing with such occurrences. As a result, the issue of external employment was adopted. This meant that the company got experience within the staff (Boris & Sarah, 2013, p. 5). More so, the industry has ended up being global meaning that the competition levels are high. The management, as a result, needed to adjust its management of human resource such that it matches the standards of the global competitors and partners. This has been through the introduction of standard performance systems in the organization whereby people can be rated based on their performance with those that are underperforming being laid off ((Boris & Sarah, 2013, p.5). The recruitment and selection of internal candidates mean that the organization is offering new working positions to some of the already existing workers of the organization. On the other hand, external recruitment means that the vacancy is only open to those that are not already working within the same organization (Sarker, 2017). Internal recruitment and selection are efficient in that it gives an opportunity to an individual who is already conversant with the operations of the organizations, culture, and policies. Therefore, less time is spent and resources will be spent on training. On the other hand, there will be a need of creating a time for handing over and adaptation to a person who has never been an employee to this organization and this at times costs on time (Sarker, 2017). Despite the cost and adaptation time, having a person from a different organization or industry is also good for the organization. They will be coming into being open-minded and therefore, they will bring new insights to the organization. Furthermore, if they are coming from the same industry, they will try to initiate ideas that they have seen being viable and beneficial elsewhere (Sarker, 2017). The challenge brought about by a poor recruitment to the organization has forced them to go for a new method of recruitment. Under this new method, the organization has been able to become strategic in the recruitment process by ensuring that they go for individuals that have the capacity of meeting the specific goals and visions of the organization. Attaining has been through utilizing the heads of individual business subunits to specify the kind of work they want to be undertaken and the expectations they have for those they intend to work with. By this, therefore, it becomes possible to know the exact individual that the organization wants (Boris & Sarah, 2013, p.6). The recruitment process, therefore, takes a precise but assured sequence of activities towards getting these specific individuals. The attraction process takes into account the process getting the specific talents that the subunits want. This is then integrated with the identification progress where the specific needs of the organization are discussed in detail between the executive and the HR through the People Strategy Session. Lastly, the organization looks at different ways they can develop these individuals before deploying them to their specific environments of operation (Boris & Sarah, 2013 ). The new recruitment model is enough to meet the specific needs of the organization as far as performance is of concern. However, a slight improvement will be including a benchmarking process. By this, the recruits are to be assigned to specific experienced individuals that help them adapt to the work environment. This helps in reducing the time of training. Boris, G. & Sarah. A. (May 5th, 2013). A.P. Moller- Maersk Group: Evaluating Strategic Talent Management Initiatives. Harvard Business School. Sarker, B. (2017). Evaluation of Recruitment and Selection Process of Mutual Trust Bank Limited (Doctoral dissertation, Daffodil International University).